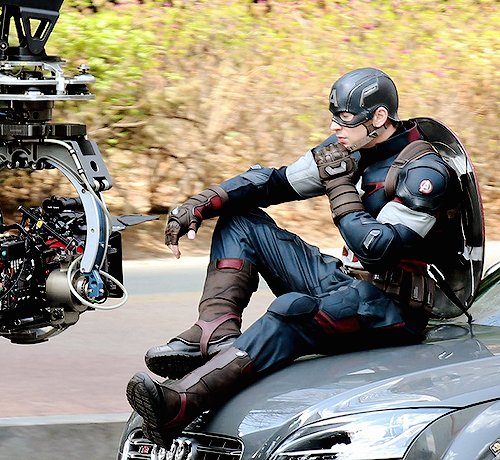 Captain America in The Avengers: Age of Ultron Settings in Seoul. Looks hot, Chris!!! ^^. Wallpaper and background images in the Captain America club tagged: photo captain america the avengers age of ultron 2015 settings seoul chris evans. 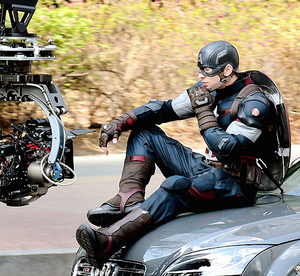 This Captain America photo contains motoragent, motorfiets politieagent, snelheid cop, and motorfiets cop. There might also be motorrijder and motorrijden.